首頁 / 參觀資訊 / 參展商列表 / HYUNG JAE PRECISION MACHINERY CO., LTD. THE WARP KNITTING BEAM FOR TRICOT AND RASCHEL MACHINERY. 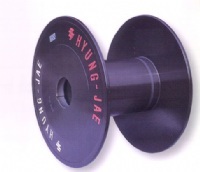 IT IS EXCELLENT TO DURABILITY AS USING SPECIAL ALUMIUM ALLOY AND HIGH-PRESSURE FORGING PRESS TO PRODUCE.